The Southeast Asia Centre of Asia-Pacific Excellence has had a busy 2018. As the year winds down, I thought I would share some of our activities and learnings, as well as a glimpse of what’s ahead in 2019. We have been advancing on several fronts in the business engagement space. Our Market Readiness Programme, offered in partnership with Export NZ network and with the participation of NZTE, was held in seven locations: Palmerston North, Hawke’s Bay, Wellington, Bay of Plenty, Hamilton, Auckland and Christchurch. These were well received— and even fostered collaboration between businesses engaging in Southeast Asia. We intend to expand the programme in these locations and beyond in 2019. The Market Insights Programme in Wellington and Hamilton paired businesses with a tertiary intern with knowledge about Southeast Asia. Both parties were invited to attend a series of business workshops facilitated by our NZ Inc and corporate partners to increase their knowledge of aspects of doing business in Southeast Asia. The feedback from the businesses, students and corporate partners, points towards the value that all parties gain from interacting with each other. The programme will be replicated in Auckland and Dunedin next year. Working with the Asia NZ Foundation, we supported Hamilton-based Māori business accelerator Kōkiri to participate in our Accelerate Southeast Asia programme in Vietnam. We look forward to providing more support for NZ’s young entrepreneurs to engage in Southeast Asia markets in 2019. In the education engagement space, our Understanding Southeast Asia Programme for NZ tertiary students had a successful visit to six countries in January-February earlier this year. The programme assumes a new format in 2019 as the Tertiary Market Immersion Programme to Vietnam, Thailand and Singapore. In collaboration with NZTE, NZ Inc., embassies in NZ, local host organisations and universities, 16 tertiary students (representing 7 universities and Otago Polytechnic) will work on team projects in selected areas of business interest between NZ and these Southeast Asian countries. We celebrated ASEAN’s 50th anniversary by awarding five ASEAN@50 Fellowships to experts on the business, economics and geopolitics of ASEAN-NZ ties. Together with co-sponsor MFAT, we hosted two ASEAN@50 Fellows (from Malaysia and Thailand) in late November. The remaining three will arrive in February 2019. 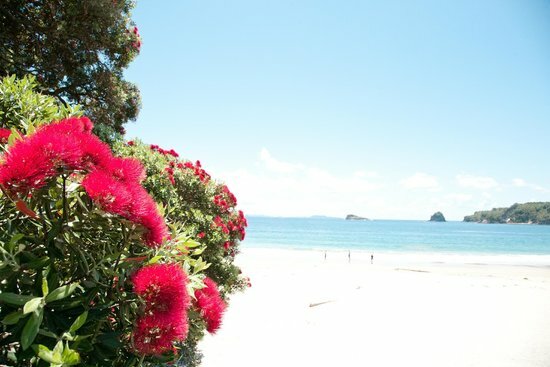 Their schedules in New Zealand include roundtables, meetings, customised seminars, and public seminars, which are held in partnership with numerous other organisations. In August, in collaboration with Waikato University, we also provided mobility opportunities for Māori business students to gain exposure to Singapore and Malaysia. We intend to offer further customised mobility initiatives for Māori business students in 2019. In April, in partnership with Young Enterprise Trust, we sent 10 NZ secondary school entrepreneurs to Singapore where they teamed up with like-minded Singaporeans students in a Business Challenge. January 2019 will see a repeat of this, and we expect to send further student groups into other Southeast Asia markets. We’ve also been working with teachers who foster the next generation’s engagement with international markets. Together with the Asia NZ Foundation, we are helping to build sustainable partnerships between schools in Southeast Asia and NZ through the Global Schools Partnerships Project. The first six such partnerships involving NZ and Singapore schools are underway already and Indonesian partnerships are on the horizon. Here at the Southeast Asia CAPE we’ve also been working on NZ engagement and ASEAN engagement in NZ. NZ engagement involves public awareness in NZ around Southeast Asia markets, and typically involves partnering with others on activities that build NZ’s capacity and capability to engage with and in the ASEAN region. ASEAN engagement in NZ builds on the opportunities provided by people from ASEAN or those with a strong knowledge of ASEAN to bring the region closer to home. I cannot cover all our activities in this message, but you can read more about our multiple workstreams here on our website. The abovementioned activities would not have been possible without the support of our funding agency, the Tertiary Education Commission, as well as key stakeholders and partners including yourself. We look forward to your continued support with our activities in 2019. It was wonderful to host the first two of our five ASEAN@50 Fellows over the past couple of weeks - Dr Pavida Pananond from Thammasat Business School, Bangkok, and Senthil Danapalan, Head of Business at Maxis, Malaysia. They had a busy programme of engaging public seminars and official and academic roundtables. These sessions provided insights to better understand how to navigate the emerging Southeast Asian markets and highlighted the two-way opportunities for trade and investment for New Zealand and ASEAN. We had some great feedback from stakeholders involved and some students told us they were the best guest speakers they had all year! Another three Fellows will visit New Zealand in February 2019 - Dr Aries Arugay (Philippines), Dr Thitinan Pongsudhirak (Thailand) and Dr Nguyen Duc Thanh (Vietnam). Look out in our new year updates for dates and locations of activities these Fellows are participating in. Read more below about our partnership with the Ministry of Foreign Affairs and Trade to deliver the ASEAN@50 Fellowship Programme – to build mutual knowledge and understanding between New Zealand and ASEAN. 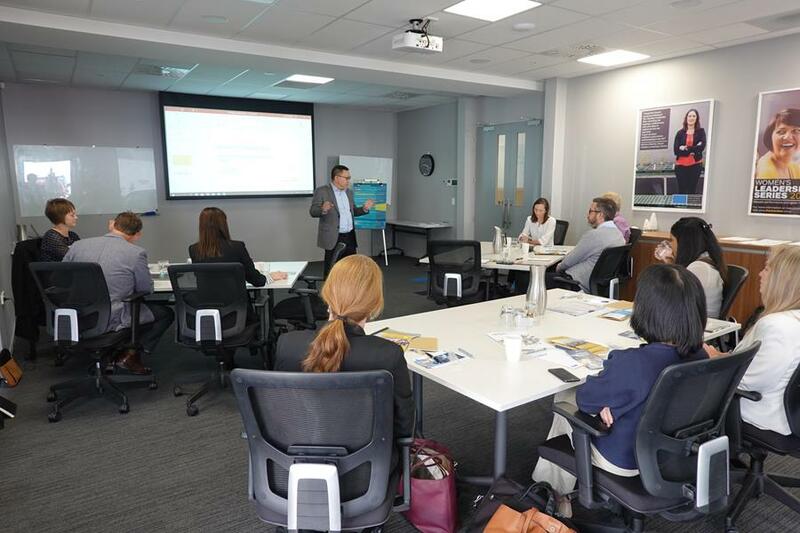 Our final Market Readiness Programme for the year took place last week in Christchurch with a keen bunch of business participants - now equipped with the right tools and strategies to prepare them to engage in Southeast Asian markets. We’ve partnered with Export NZ to deliver seven of these sessions throughout the country this year and plan to roll out more in 2019. Are you a Dunedin or Gisborne based businesses considering exporting to Southeast Asia? We are coming to your region! We’ll let you know as soon as next year’s dates and locations are confirmed. To find out more about this programme and see if it right for your business, click on the link below. The 16 participants on our Tertiary Market Immersion Programme (TMIP) are looking forward to immersing themselves in the markets of Vietnam, Thailand, and Singapore next month. 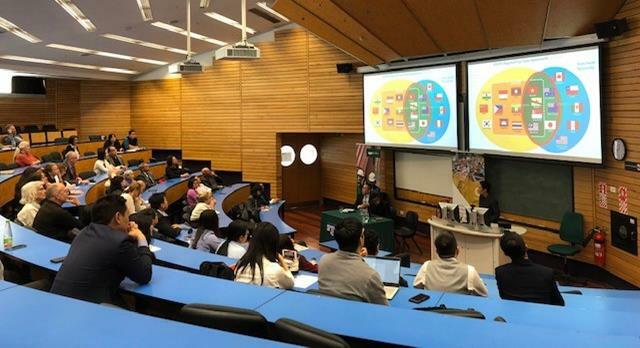 The students, selected from across New Zealand tertiary institutions, have started developing their group projects, with guidance from academic mentors, focused on different areas including e-commerce, food and beverage, small to medium enterprise innovation and social enterprise. The Programme will conclude with group presentations in Singapore where the students will also connect with a group of secondary school students participating in our Business Challenge Programme. The students will join up on visits to local and New Zealand businesses and NZ Inc agencies. Click on the link below for more information on TMIP and the January 2019 participants. 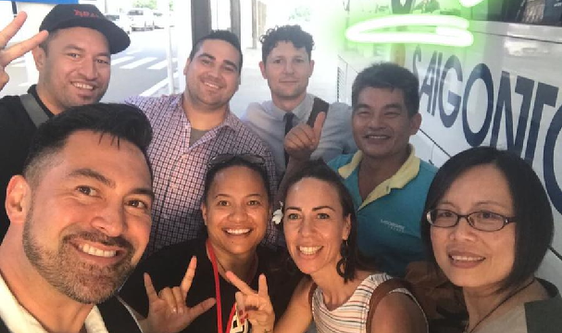 Our five Māori entrepreneurs participating in the Accelerate Southeast Asia Programme had an inspiring time in Ho Chi Minh City and Danang last month connecting with Vietnamese entrepreneurs. The group have come away with a real sense of just how dynamic the Vietnam market is and the potential opportunities there for New Zealand businesses. Nikora Ngaropo, one of our participants and director and founder of NNMD and Young Animators, says we need to position New Zealand well in the global network - know your market, do it well and build your reputation in that market before looking to others. Damaris Coulter, another one of the participants, has now launched her business The Realness - a tool for finding independent restaurants globally - and was grateful to be able to make fruitful business connections in Vietnam. Spending an intensive week together also meant they were able share ideas and experiences with each other – and will continue to connect and support each other in their business endeavours. Click the link below to learn more about our Accelerate Southeast Asia Programme. 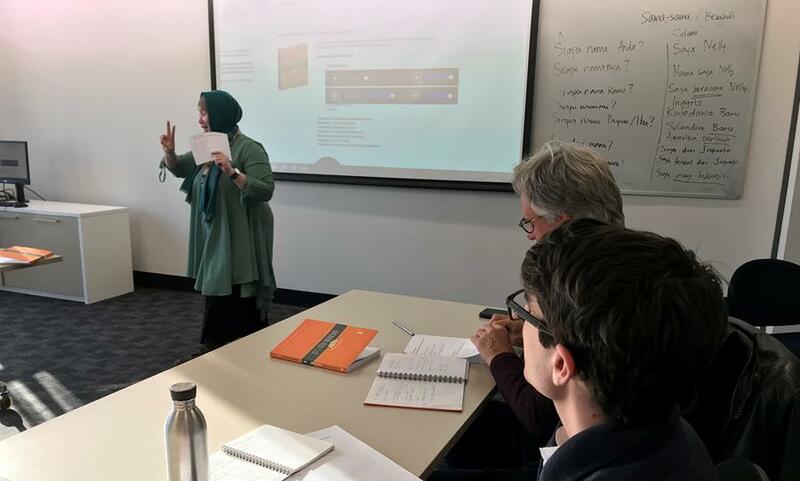 We’ve partnered again with The University of Auckland and Auckland University of Technology to provide a grant to adult learners who complete an introductory Bahasa Indonesia course. This time, the course ran from October - one evening a week - for six weeks and had good uptake from professionals wanting to use it to communicate with colleagues, and from people wanting to learn for personal reasons, for example, being able to communicate with family members. One participant, from Auckland Zoo, works with orangutans and would like to do wildlife conservation work in Indonesia. Having a basic understanding of Bahasa will put her in good stead to communicate with the communities she will engage with there. A participant from Radio New Zealand said they will hugely benefit from greater local language fluency when covering stories in West Papua and Papua. Supporting these kinds of courses is helping us to meet one of our key objectives - to equip New Zealanders to engage and do business with Southeast Asia. Keep an eye out for more Bahasa Indonesia courses in 2019.